Only about 20,000 people are permanent residents across this collection of 15 islands spread over 90 square miles, but more than four times that many travel here each year to experience an authentic, refined, and joyful Polynesian culture. 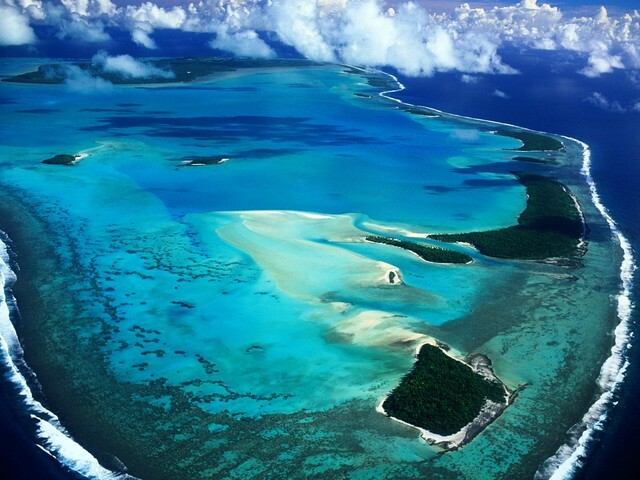 The main island Rarotonga, is the most visited destination. It’s also the largest and most populated, and the gateway to the rest of the islands. Jungles and volcanic landscapes characterize the inland, while the coasts are filled with palm-fringed, white-sand beaches. An enormous reef encircles the island, forming a lagoon that extends several hundred yards for excellent snorkeling and swimming, particularly on the southeast shores. Despite being the second most-visited of the Cook Islands, Aitutaki manages to remain nearly completely untouched by the modern world. Gorgeous beaches, a spectacular turquoise lagoon, and the coral islets that dot its eastern coast entice travelers who conscientiously take only pictures, and leave only footprints. The heart of Polynesia rewards visitors with an exquisite, exotic experience that remains largely unchanged, even amidst a growing popularity as a vacation destination. Come to the Cook Islands and live differently for a while. This entry was posted in Cook Islands, Hotels and Resorts, South Pacific, Weddings/Honeymoons and tagged Aitutaki, Aitutaki Lagoon Resort & Spa, Cook Islands, Muri Beach Club, Pacific Resort Rarotonga, Rarotonga, Sea Change Villas, snorkeling.